The cafes in Newcastle keep on coming, and frankly I ain't mad about it, though maybe my bank account is. 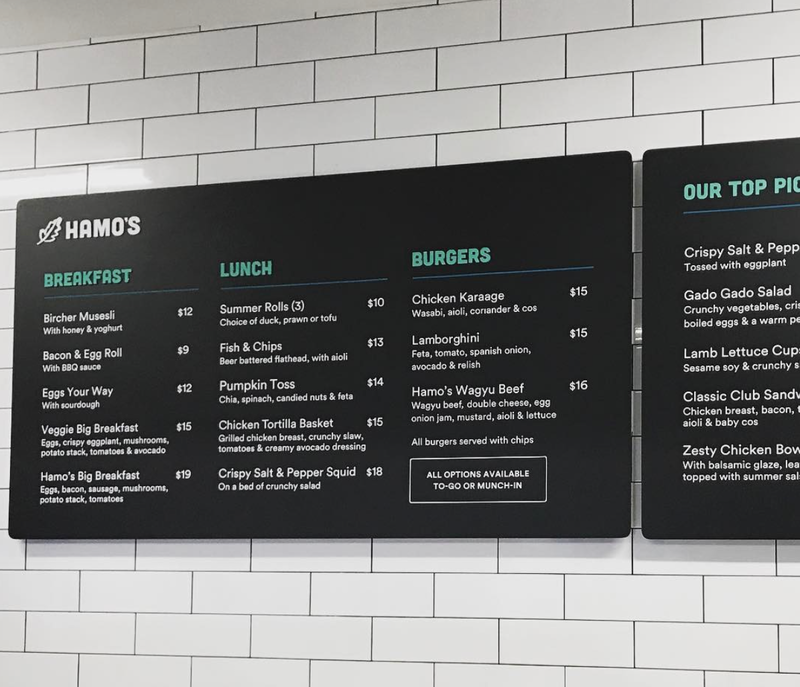 Yesterday the newest addition to the cafe scene in Newcastle, Hamos, opened in Islington, and because I don't do much else with my time at the moment, I had to go and see what it was all about. 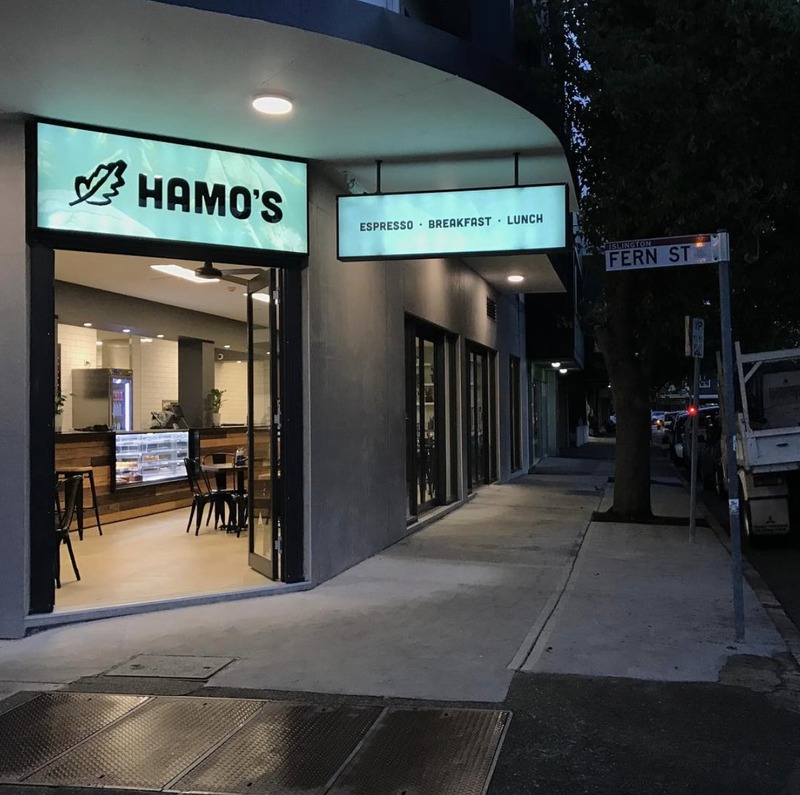 For any local Novocastrians reading this, the cafe is located just passed the train station in Hamilton, on the opposite of the road, right on the corner of Fern Street. They have a nice and bright, pale blue sign to direct your way, so you can't miss them. 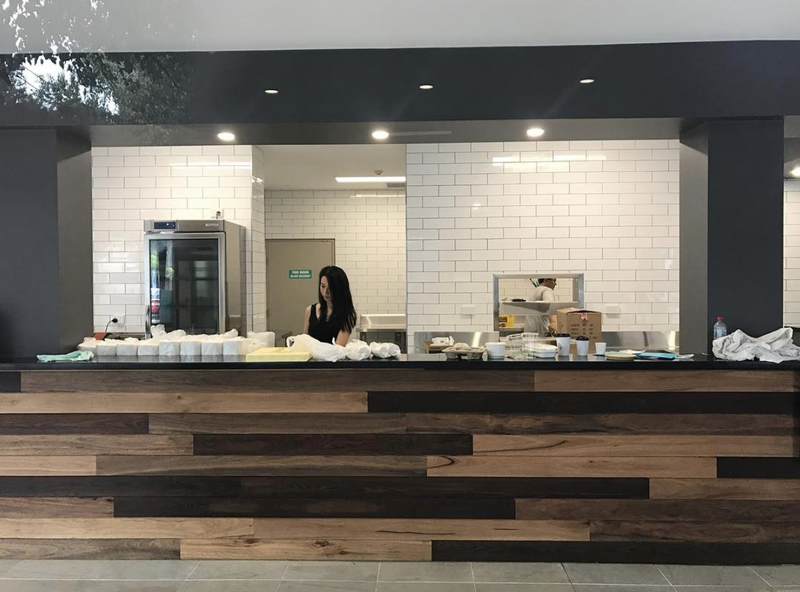 The inside of the cafe is my aesthetic taste to a T, with it's clean, minimal, yet industrial look; also completely on trend right now. 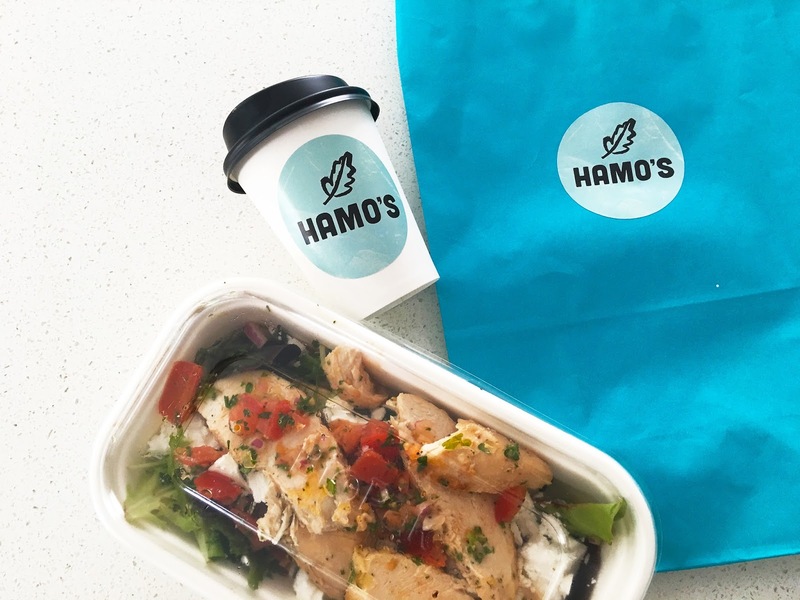 They've got you covered from breakfast to lunch and, of course, have coffee on hand, because what place offering food in Newcastle doesn't also have coffee, it's practically illegal not to here. To test them out I ordered myself a regular latte and the Zesty Chicken Bowl to takeaway; one great feature I love about the menu is that absolutely any item can be ordered as a takeaway, so for someone like me who enjoys getting out of the house and off the computer sometimes, but also not for extended periods of time because being alone for to long and drawing attention to myself makes me overly nervous, this is a massive thumbs up. That said though, there is plenty of seating inside, including a sneaky little comfy couch section tucked away in the back corner, so it would make the perfect place to meet someone for a catch up. First of all, the coffee is on point! I've only recently been able to graduate my tastebuds to lattes after only throwing back mochas for the last year or so, but I've been slowly trying lattes from all around, so I know when I find a latte that I like or not. I have to say the Hamos' lattes get a big 10/10 for me. I'm not a coffee by expert by any means, so frankly I have no idea what words or terms I should be using to describe how and why it's such good coffee; to me it just tasted damn fine and that's all I need to be sold. If you're a big coffee lover, I'd recommend giving them a go, and letting me know what you think. On to the food! I would describe the Zesty Chicken Salad as similar to a greek salad, but with chicken and no olives. If you love yourself some feta (like me) than you're going to love this. A generous amount of chicken, with a generous amount of feta, topped with some salady bits and a bit of balsamic, it was delicious and surprisingly filled me up quite well. All together my order came to around $17.50, which I thought was pretty good, and considering the good quality of what I got, I'd happily pay that again. 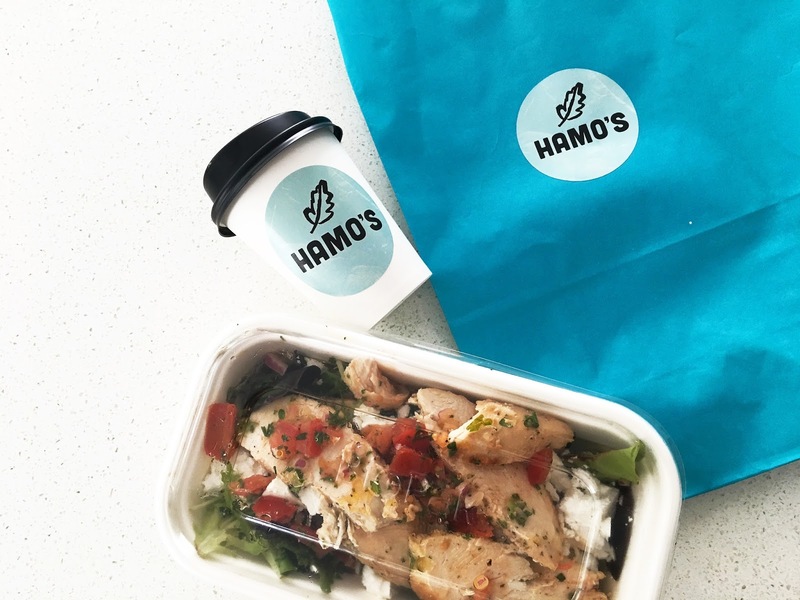 So whether you're a Newcastle local looking to try something new, or simply like to be that trendy person who's all about the new best places to stuff your face in town, or may you're simply visiting Newcastle sometime, I would 100% recommend giving Hamos a try! And here's a little selfie of me before I went out yesterday that I shared on my Instastory and Snapchat, because why the hell not ;) P.S go follow me over on Instagram (@noiseinwonderland) and Snapchat (@amynalice)!